How do I integrate my 3dcart Store with BitPay? Beginning with Version 6 of the 3dcart Software, Merchants can now set up Online BitCoin Payments with BitPay. This article will show you how to integrate your store with BitPay. Click on your the "My Account" icon. Followed by the "API Access Keys" icon. 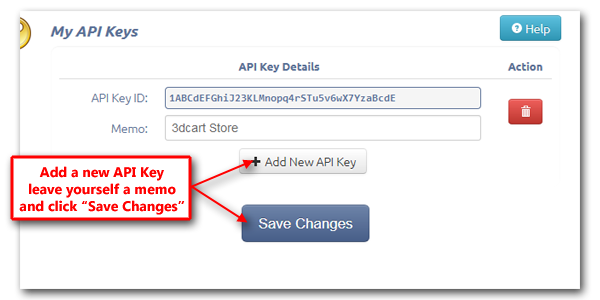 You will be taken to a page where you can view your created API keys. Click on the button labeled "Add New API Key" to generate a random API key for your BitPay account. (optional) Add a Memo to let you know what this API key is being used for. You may now proceed with the rest of this article. Then, click on the "Select Payment" button under "Payment Methods"
Select BitPay from the Payment Method drop down menu. You have now added the Payment Module. Find it on the list of installed payment modules, and click on its "Settings" link. 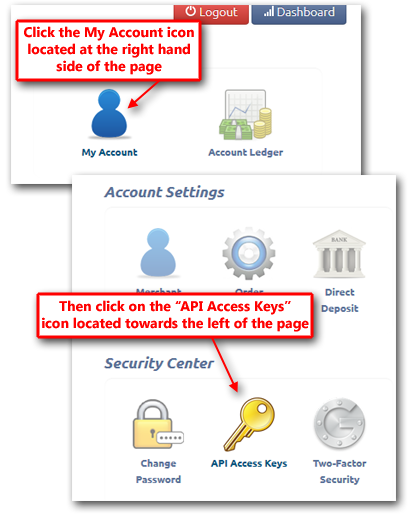 Now enter your your API key (from the previous steps) as needed. You can create a description, confirmation message and caption as needed. Your store is now integrated with BitPay.